The Illustrious Awards Ceremony, a signature initiative of The Institute for Latino Studies, documents and highlights the contributions of Latinos to the advancement of the United States of America. The contributions of Latino icons are video-featured and honored in a professionally produced formal ceremony and Collectible Tribute Journal. 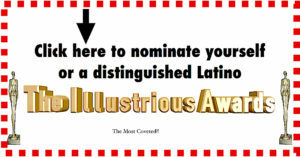 This year, the Institute for Latino Studies has partnered with the Center for Latin American, Caribbean & Latino Studies (CLACLS), Center for Puerto Rican Studies, Berkeley College and BabyLionProductions.org to make the last installment of the Illustrious Awards a memorable and rewarding milestone in the history of Latinos in the United States. Nomination of candidates should be made on or before May 30, 2018 and can be made by boards of education, institutions of higher learning, professional associations/organizations, chambers of commerce, community organizations, government institutions, and the general public in fifteen (15) areas: Arts, Business & Entrepreneurship, Education, Television & Entertainment, Drama & Film, Government, Social Sciences, Judiciary & Law Enforcement, Leadership, Literature, Politics, Religion, Military, Natural Sciences, and Sports. The honoree in each category will be the finalist with the highest point average in judged areas. To complete and submit your nomination (s), please click here or on the bottom below. 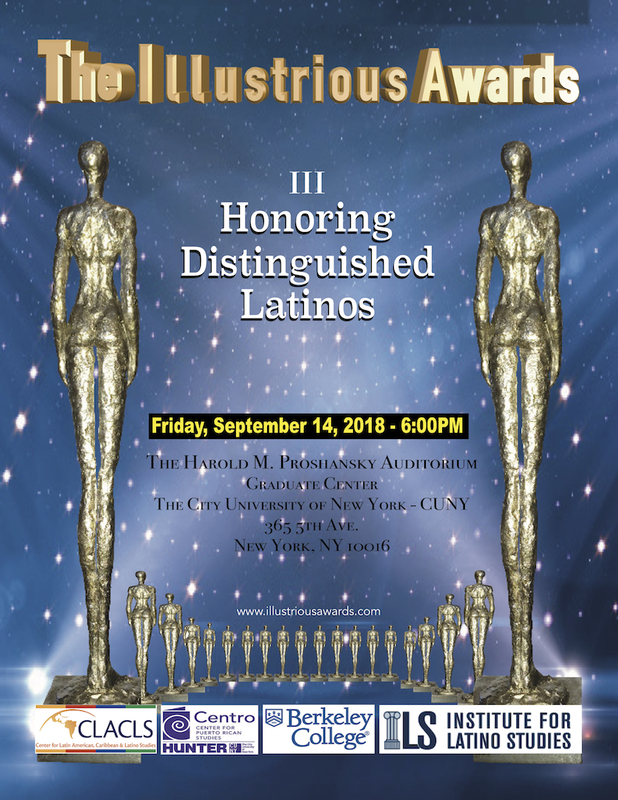 The Illustrious Awards Ceremony, a signature initiative of The Institute for Latino Studies, documents and highlights the contributions of Tri-State Area Latinos to the advancement of the United States of America and the world. The contributions of Latino icons is video-featured and honored in a professionally produced formal ceremony and Collectible Tribute Journal.